Five minutes of therapy and Kevin was mowing! Nik runs a successful program at my work place that involves movement to release stress. He helps dramatically keep the stress down in our working environment, which has a knock on effect for my colleagues. Since our 121 sessions have been so successful we now run a group program to keep everyone on the same wave length, focussed, energised and motivated! A Medical student in Cambridge, Pippa was suffering from severe ‘period pains’ – a recurring problem since early adolescence. 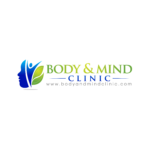 But after a single Body and Mind Clinic SCENAR therapy session with the Body and Mind Clinic her pains had eased considerably. “By the very next day,” says Pippa, “they had completely vanished and thankfully they’ve not returned since. We care about our patients, clients, friends and supporters!